This recipe first appeared on Bridgeport Farmers Market's Let's Get Fresh blog. 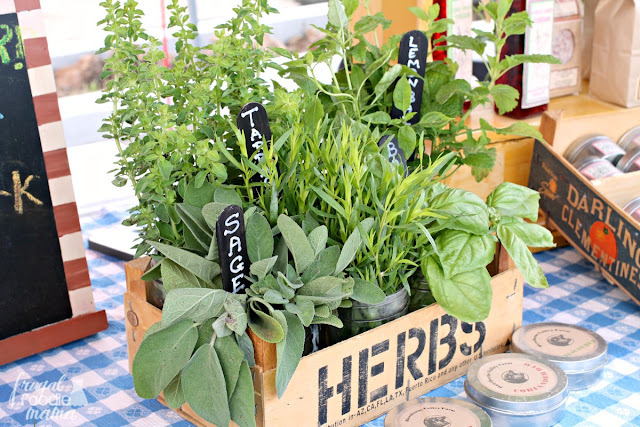 One of my favorite times of the year is the outdoor farmers market season here in my hometown. From the end of May through mid-fall, I can visit the local market each Sunday and stock up on freshly picked vegetables and pasture raised eggs & meats. And I just so happen to be on a mission this outdoor farmers market season to show you all how you can create a delicious meal purchasing only locally grown & raised produce and meats at your local farmers market this summer. Each month I will be sharing a recipe here to the blog inspired by and featuring some of my own personal favorite fresh & local finds from my local market. So how do I go about creating a farmers market fresh recipe? First, I take a quick walk around the entire market taking note of what is in season this week and who has what. Then I take a few moments to think about which available produce and meats will go best together & how I can incorporate them all into a tasty recipe idea. For example, today's Framers Market Frittata was directly inspired from pasture raised brown eggs and gorgeous fresh rainbow chard I found at one farmer's table. And then I picked up pasture raised ground pork and bright green onions from another local vendor. The lemon basil cuttings I picked up from one of my favorite farmers at the market ended up being the finishing touch for this family pleasing recipe. If you are not familiar with a frittata, it is basically like a huge omelette minus the frustrating folding and flipping. 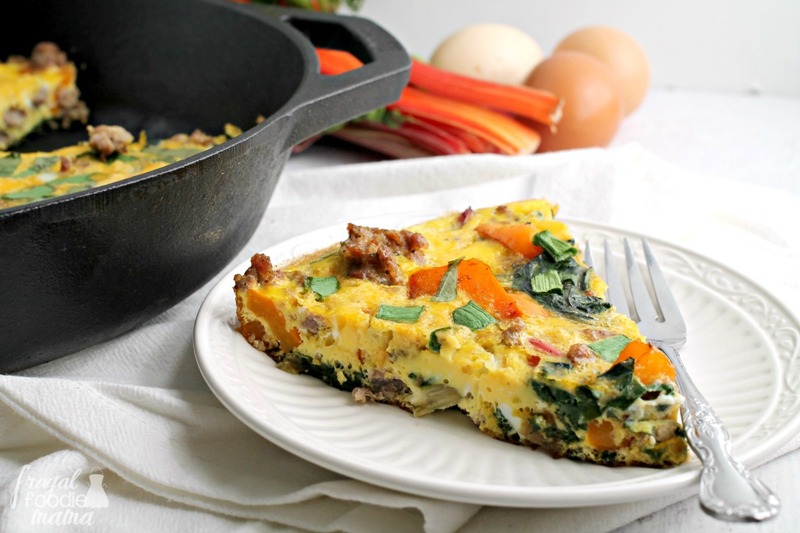 Everything is sauteed and baked in one skillet making clean-up super easy and quick. I think my favorite thing about frittatas is how versatile they are. You can easily swap out or leave out any ingredients that you don't like or add in veggies & meats that do you like. 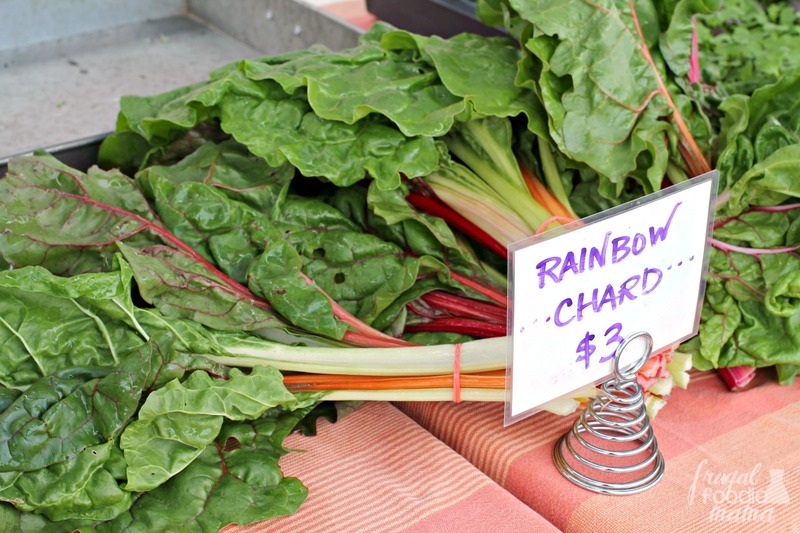 Not a fan of rainbow chard? Add fresh spinach instead. Happen to be vegetarian? 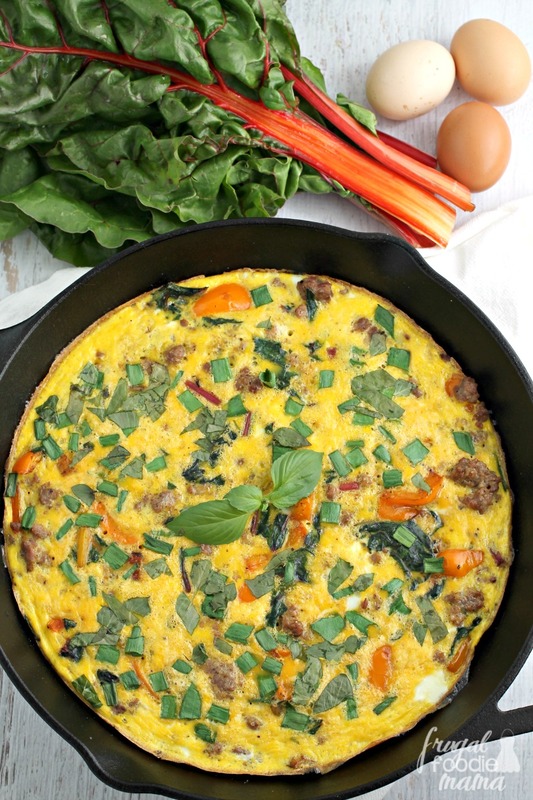 Leave out the sausage and add more fresh market veggies. You can add your favorite shredded cheese to this as well. 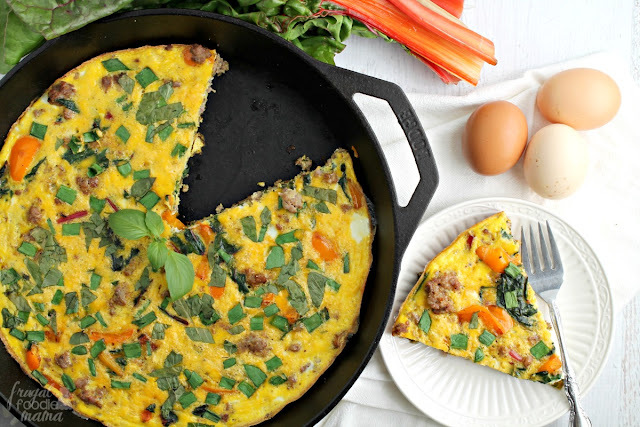 With so many locally grown & sourced options available at local farmers markets each week, the possibilities for this frittata recipe are pretty much endless. 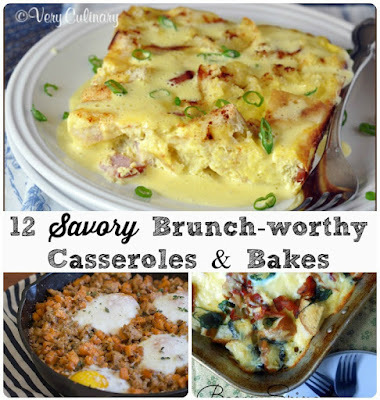 But the versatility of frittatas doesn't end there. 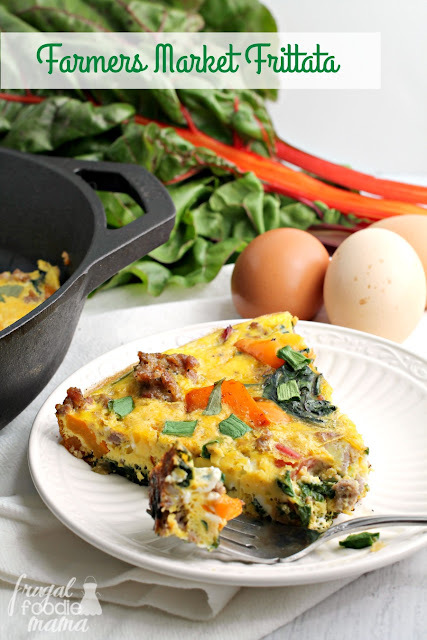 Frittatas are perfect to serve for any meal of the day- breakfast, brunch, lunch, or dinner. In a 12 inch cast iron skillet, heat 1 tbsp of the olive oil over medium-high heat. Once heated, add in the pork sausage. Cook until browned, about 5-6 minutes. Remove from the pan and allow to drain on a paper towel lined plate. Add the second tbsp of olive oil to the pan. Then add in the chopped bell pepper & rainbow chard stems. Season with salt & pepper. Saute until tender, about 3-4 minutes. Add in the chopped rainbow chard leaves, & saute until just slightly wilted. Add the browned sausage back to the pan. In a large bowl, whisk together the 12 eggs. Pour the beaten eggs over the sausage & vegetables in the pan. Tilt the pan to make sure the eggs settle evenly over all the vegetables. Cook for a minute or two until you see the eggs at the edges of the pan beginning to set. Sprinkle the chopped green onions & lemon basil leaves over top of the frittata. Transfer the pan to the oven & bake until the eggs are set, about 8 to 10 minutes. To check if the frittata is ready, cut a small slit in the center of the frittata. 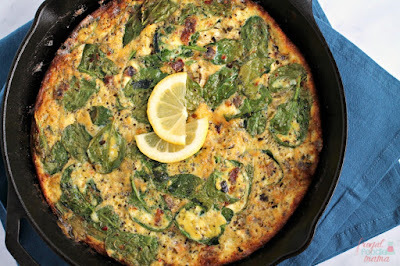 If raw eggs run into the cut, bake for another few minutes; if the eggs are set, pull the frittata from the oven. Allow it to cool for at least 5 minutes before slicing. Serve immediately. Enjoy! Any leftover frittata can be kept in an airtight container in the fridge for 3-4 days.